A recent expansion of the Harlan Crow private library has added 3,500 square feet. 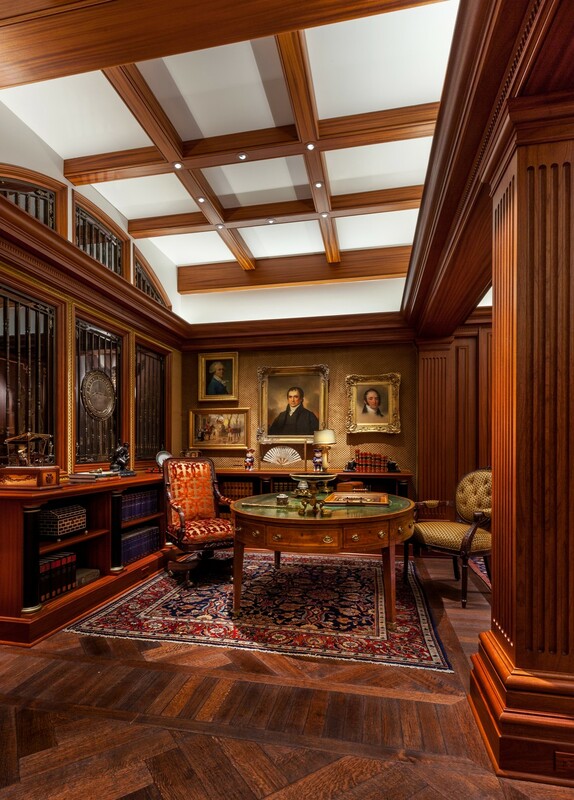 Lighting designers byrdwaters DESIGN chose Lumencove luminaires to highlight architectural features. 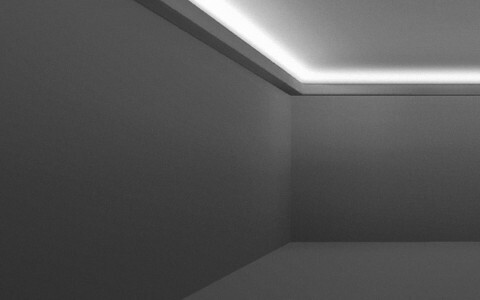 Regular output (5W/ft) Lumencove luminaires were chosen to illuminate the vaulted ceilings in the gallery. The high-output (12W/ft) Lumencove was selected for the octagonal dome in the entry vestibule and the coffered ceilings in the corridors. 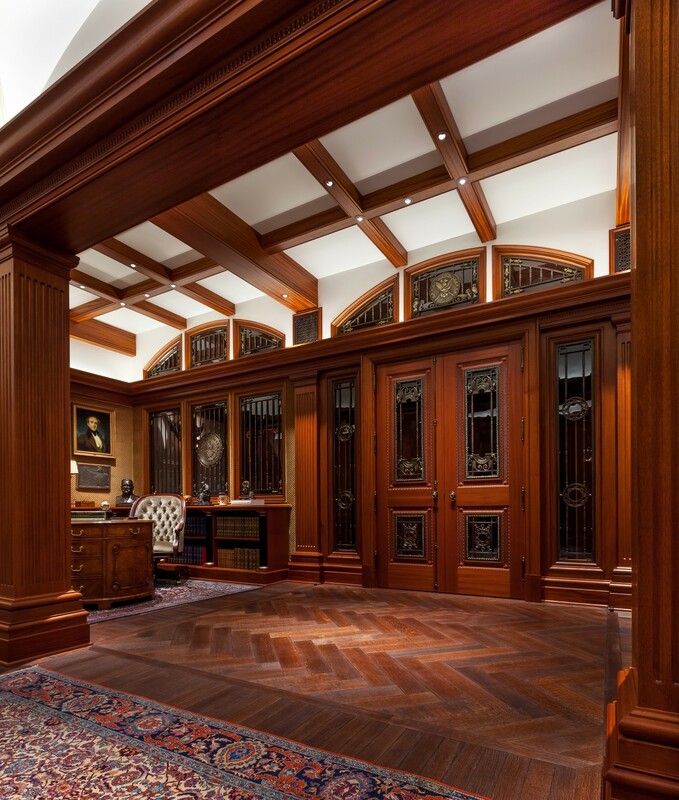 A warm 2700K color temperature was used to complement the wooden finishes. 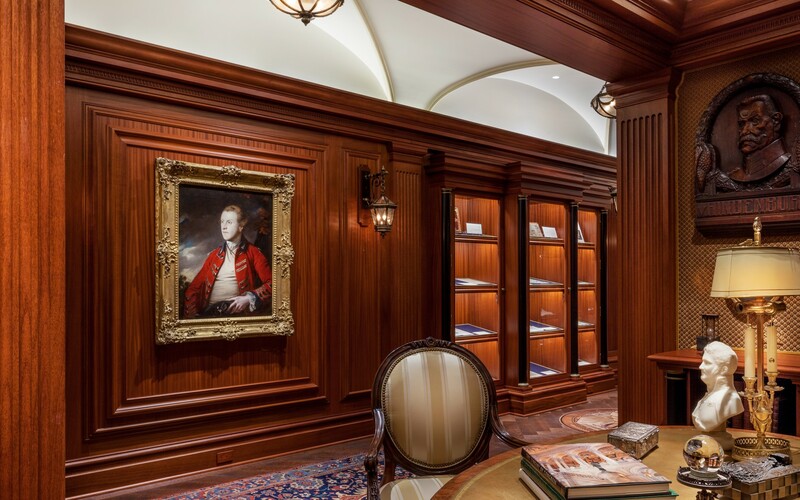 Crisp, warm white cove lighting reveals and accentuatues architectural details at the recently expanded Harlan Crow private library in Dallas, Texas. I was looking for longevity, dimmability and color consistency from fixture to fixture. We did a mock up of the two best LED products and Lumenpulse was the obvious option. 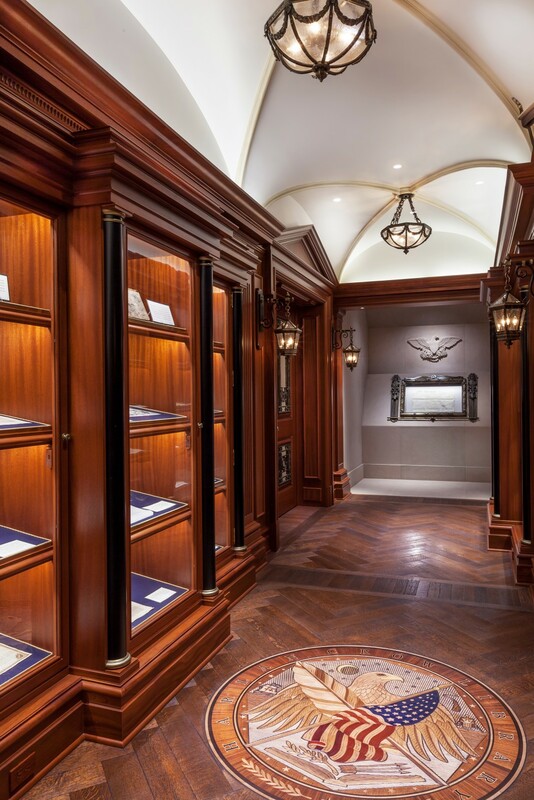 Part of the estate of Harlan Crow, a Dallas businessman who collects rare, historic documents and artifacts, the two-storey Harlan Crow library houses more than 8,500 books and manuscripts on American history. 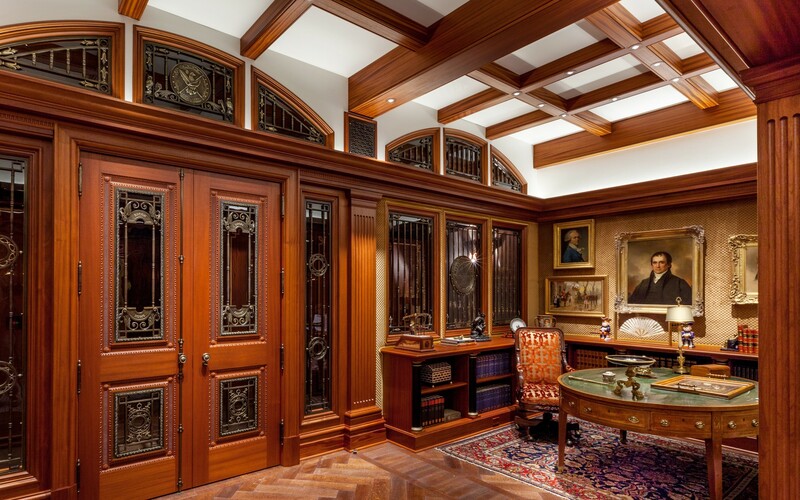 A recent addition to the home's basement expanded the library by an additional 3,500 square feet. Though it's entirely new, the addition was conceived to reflect the history of the 98-year-old home and the antique documents it houses. 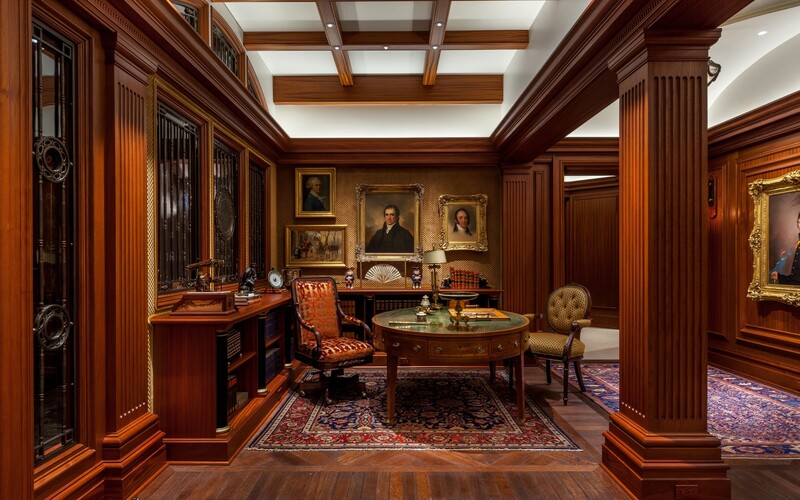 "When you're in the space you don't realize you're underground," says lighting designer Steven Byrd of byrdwaters DESIGN, who designed the architectural lighting in collaboration with architect D.C. Broadstone and interior designer Emily Owens-Roberts. "With the absence of natural light, it was necessary to use a theatrical effect to enhance the architectural features of the space." 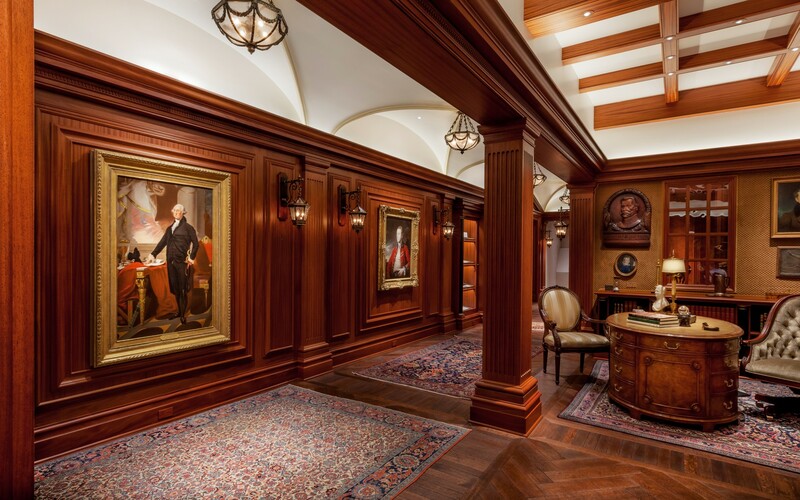 To achieve that effect, Broadstone focused on period-appropriate elements, like 12-foot-high vaulted and coffered ceilings, while Owens-Roberts took great care to conceal modern elements, such as electrical outlets. With that level of detail given to the architecture and interiors, Byrd wanted the lighting to follow suit. "If they were going to use the best, so was I," he notes. "It had to be from an established company and Lumenpulse was my first choice." While the library is currently private, the owner intends to eventually open it to the public, "so LED made long-term sense for the energy savings and low maintenance," says Byrd. "I was looking for longevity, dimmability and color consistency from fixture to fixture. 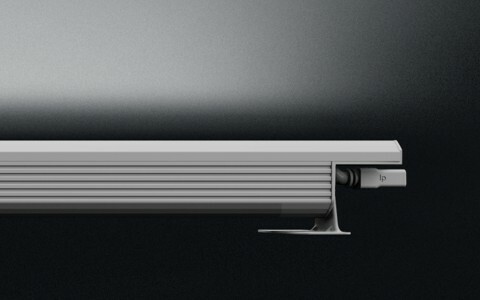 We did a mock up of the two best LED products and Lumenpulse was the obvious option." 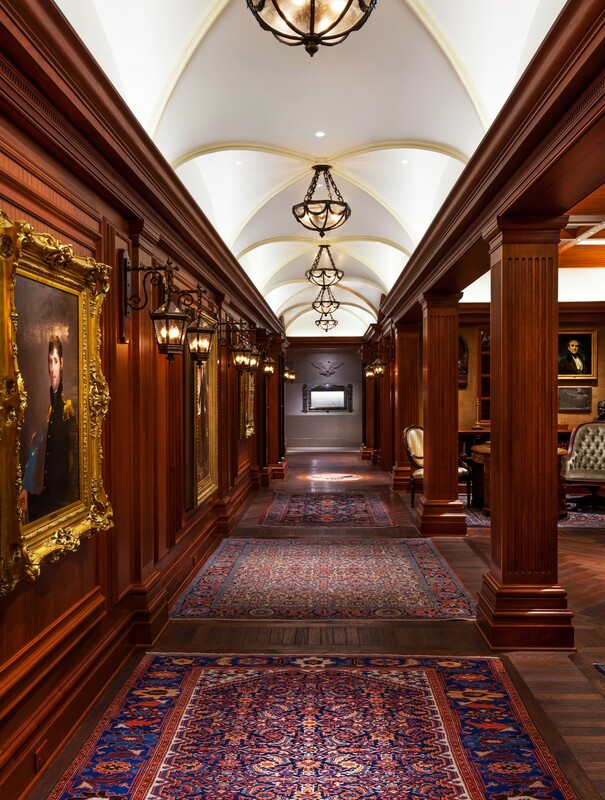 Byrd selected Lumenpulse's regular output Lumencove luminaires to illuminate the vaulted ceilings in gallery. The high-output version was used to light the octagonal dome in the entry vestibule and the coffered ceilings in the corridors, which required a greater throw of light. All LED sources used in the space use a warm, 2700K color temperature to complement the warm wooden finishes. While the owner and design team were initially hesitant to adopt such a modern light source for a historic-looking space, "they ultimately loved it," says Byrd. "The whole team was very appreciative and complimentary of the lighting. Every time I have visited since they've said that the lighting makes the space."